As tax filing season gets underway, many taxpayers are figuring out whether to take the standard deduction or to itemize. How many Americans choose each option? 68.5 percent of households chose to take the standard deduction (101 million returns). The IRS data shows a clear trend: the higher a household’s income, the more likely it is to itemize deductions. Only 6.0 percent of tax returns with under $25,000 in income chose to itemize deductions in 2013. On the flip side, 93.5 percent of tax returns with over $200,000 in income were itemizers. 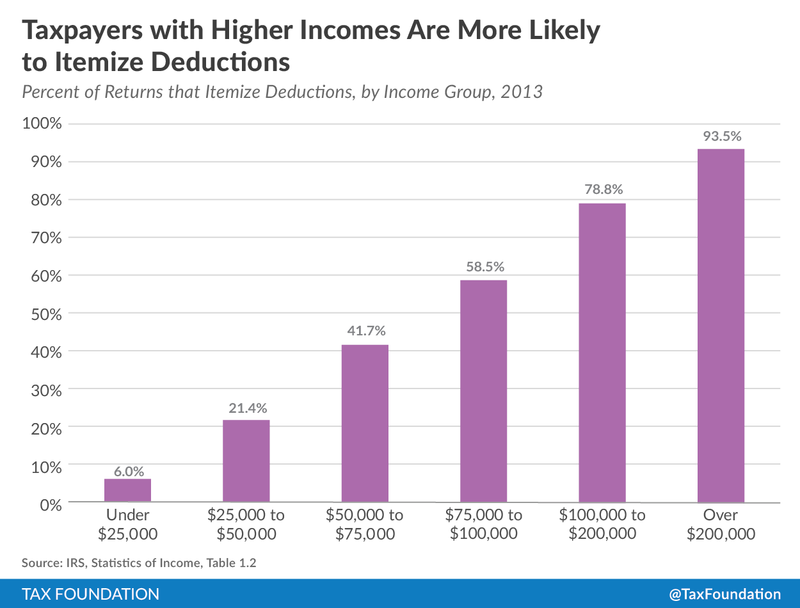 It’s not surprising that high-income households are more likely to itemize deductions. Households with high incomes are likely to pay more in state and local taxes, take out larger mortgages, and have more disposable income to donate to charity – each of which can lead to a sizeable deduction for households that itemize. 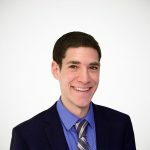 Furthermore, deductions are more valuable for households that fall into higher tax brackets, giving high-income households a stronger incentive to keep the necessary records to itemize. While the federal tax code generally imposes a much higher burden on high-income households, itemized deductions are an area of the tax code that mostly benefits the wealthy. As a result, many recent tax reform proposals have sought to limit itemized deductions or eliminate them completely.